ETSOS has announced it has been shortlisted for this year’s Modern Law Awards. It will battle it out with four other suppliers in the ‘supporting the industry’ category at the awards ceremony to be held on 15 October at The London Hilton, Park Lane. Managing director Phil Natusch comments: “This is the first time we’ve entered so we’re even more thrilled to make it through to the final five, especially considering the shortlist came out of thirty high quality entries. “We’d love to go on and win obviously, not least because it would highlight the message we were aiming to get over in our submission – that we’re a conveyancing technology specialist, offering compliance solutions and referral tools as well as being a search supermarket. 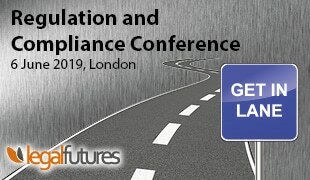 “We talked about compliance specifically: how we had devised a three pronged approach to help law firms tick the Code of Conduct, Lexcel and CQS boxes, including the development of tools such as our Hazard Checker and Quotation & Referral System, and extending the information available from our search ordering platform to include comparative data such as price and turnaround times.